Last year’s jubilee saw the strongest field ever in the history of Puskás-Suzuki Cup as besides the regular attendees of Puskás Akadémia, Honvéd, Real Madrid and Panathinaikos, also Bayern München and Sporting CP accepted our invitation. And it seems that both ‘newcomers’ took in the ambience immediately, as both the Bavarian and the Portuguese Under-17 team will enter the field also this year in Felcsút, despite the fact that neither won the Cup last year. And this year, the field has eight teams, as besides 2016’s fourth-placer, the Belgian team KRC Genk, Brazil's number one popular team, five-time champion, Libertadores and World Cup winner Flamengo also accepted our invitation, so the field now has a South American team first time ever in the history of the Cup. Just one fact to demonstrate the excellence of underage coaching by the red-blacks is the recent sale of underage player Vinícius Júnior (17) to Real Madrid for EUR 40 million. So the field is now ready for a great performance, and the event starts off right on 17 May, the opening day, and by Whit Monday, 21 May, we will have the winner—for the eleventh time in the Cup’s history. “The number eleven is significant in soccer—the teams consist of eleven people on the field, and the mark for the penalty shots, often a ticket for a one-shot win, is also eleven meters from the goal line. 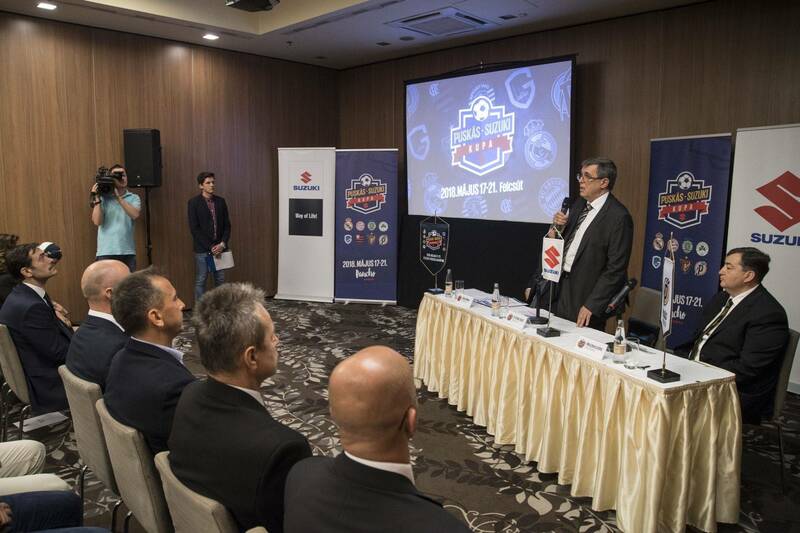 And it is the eleventh year since, together with Ferenc Puskás Football Academy, we had the big dream of launching this popular tournament. Our goals have not changed ever since, and over the years quite a few young footballers have had the chance to enter the field and play live games against club teams of global fame. Puskás-Suzuki Cup is getting higher and higher in renown on the international soccer scene, and by today it became one of the elite European tournaments. 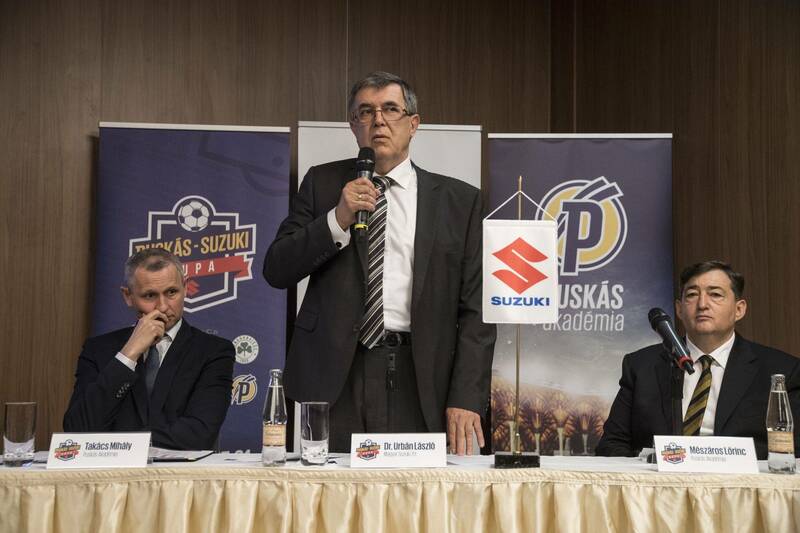 Teams from all around the globe come and enter the field, as Puskás-Suzuki Cup is an excellent opportunity to challenge and train underage players, and discover the world class talents of tomorrow,” said Dr. László Urbán, Deputy CEO of Magyar Suzuki Corporation, in his inaugural speech.